Property 2: Sandy Clove Cottage creates a private getaway with nature in Fortt Bragg. Property 7: Oceanfront cottage w/ private deck, firepit & amazing views - minutes to town! Property 8: Whimsical, unique cottage - unplug & get away from it all! Property 10: Charming coastal property with stunning ocean views perfect for your next trip! Property 11: Ocean view cabin w/ deck and garden, a short walk to the beach and lighthouse! Property 13: A cozy retreat, warm and inviting & just two miles from town. Property 14: Cottage w/ deck & wood stove - walk to the ocean, beach, & bluffs! 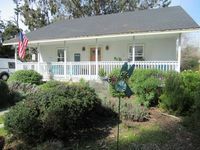 Property 17: Quiet, Cozy, Romantic Cottage just 3 minutes from the village of Mendocino! Dog-friendly home w/private hot tub & spectacular ocean views - close to beach! Property 23: Dog-friendly home w/private hot tub & spectacular ocean views - close to beach! Property 25: Cozy cottage w/ big deck, ocean views & 8 shared acres - near trails & beaches! Spectacular Oceanfront with Ocean, River And Sand Dune Views! Property 29: Spectacular Oceanfront with Ocean, River And Sand Dune Views! Secluded dog-friendly home w/ deck, cozy interior, great location, and more! Property 33: Secluded dog-friendly home w/ deck, cozy interior, great location, and more! Property 35: Dog-friendly home in coastal dunes w/ private hot tub & ocean views! Property 36: Unwind at this secluded & rustic ocean cottage, close to beach w/ocean views! Little River Cottage - Intimate Retreat for Two with Spa & Beach Access! Property 37: Little River Cottage - Intimate Retreat for Two with Spa & Beach Access! Mendocino Cottage Ocean View! Fireplace! Sauna! Walk to Beach! 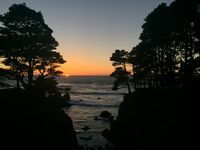 Property 39: Mendocino Cottage Ocean View! Fireplace! Sauna! Walk to Beach! Property 40: Seadrift Cottage, a perfect getaway for two, pets welcome! Property 41: Minutes From Mendocino Village In A Private Setting.